In ‘Exchanges’ Rolfe critiques the loss of history and future in the precarious present: “We expected more from the twenty-first / century. Some direction, some push, some instruction / for living in the present-continuous.” There is failure in placing the self in relation to time, a loss reflexivity, which leads to inertia. This is strongly illustrated in ‘What have you been up to,’ its days of “discrete goals, ritual and activity / progression and reversion,” short-term focused nothingness: “but for now / nothing is happening / nothing happened / nothing is going to happen.” Moments of catastrophe and event are exceptions: “We’re drawn to / these scenes, where everything is salted and breaking / down, because it feels like the edge of something” (‘The end of things’). They search for events they can recollect later, to give a sense of having lived moments: “we try to watch the waves so that later we can say / we watched the waves” (‘We watched the waves’), going out of their way in near-pitiful attempts to find meaning. Rolfe diagnoses the millennia’s anxious condition: “The fear of missing out has been surpassed by the fear of going unrecorded, of not documenting our experience,” (‘False Nostagia’). Yet such records only contain what is crafted within them, distorting the event as it was. 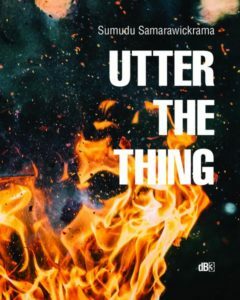 There is a great deal of intertextuality, befitting a work dedicated to memory and culture, crafting connection between the personal and collective. Repetitions of photographs, photographers, forests, indistinct roads, coastlines, waves, reading on trains, wind, edges, leaves, lakes and weatherboard houses saturate the poems, recalling one another. There is a flux of representations of nature within culture, of “clearing the landscape for a set piece” (‘Mountainousness’) like gardeners and construction crews. The poet presents his figures as following stage directions, and artificial scripts, the exterior environments speaking for the interior. A road recalls a car ad, a Tarkovsky film reminds him of Lynch, although the former came first: “what comes after can / remind you of what came before. It’s about order of exposure” (On Zerkalo). Chronologies dissolve, over-layered. Personal chronology is privileged over the ‘true’ order, representation the real. ‘We watched the waves’ takes its title from a Robert Haas poem. Figures fall into convention expected of them (“I picked up some shells, because that’s what you do in places like this” ‘The end of things’) hoping for insight into some deeper truth (“You looked for the sublime / in a box of sultanas” ‘Mountainousness’) which is revealed to be banal repetition of the same. The second section, ‘Ars memoria,’ moves into a mythic mode, recalling Anne Carson with its interpretation of a Greek myth (Simonides of Keos) in verse. Its hypothesis is “the tale is in the retelling” ‘[Mutatis mutandis]’, a meta-textual awareness of the power of poetry and narrative. Rolfe poses memory and myth are modes of integrating and interrogating the past. The myth involves a roof collapse at Simonides’s dinner party; all the guests are killed and Simonides must identify the bodies by way of remembering where they sat, placing name and image to place and in doing so “inventing the art of memory” (‘[Analepsis]’): the new mnemonic device, the method of loci. This section best displays Rolfe’s humor; it also, strangely, seems the most personal, with a raw examination of the speaker’s response to his grandmother’s dementia and his own burgeoning romantic relationship. Borges’s Ireneo Funes, a literary memory cornerstone character, remembers every moment of his life simultaneously until his death (via consumption), contrasts against his grandmother’s decline into dementia. An excess of remembrance against an excess of forgetting poignantly explores the merits of each function, its dual-process: “What if forgetfulness were not / a flaw / but the other side of the coin. / A way to stop a surge of detail from bursting / the banks / while its twin, memory, lets us / make sense of the world” ‘[Kindness]’. It contains two prose personal essays, one a commentary on his own poem and the other, the titular ‘False Nostalgia,’ is an analysis of an unpleasant first viewing of the Haneke film Cache remembered fondly, opinion revised through memory. Neither are straightforward essays, circling around notions of memory, composition, and revision. These essays offer pauses of reflection and variety within the poetry collection that at first seem disruptive to the whole, its different structure proliferating new meaning in its contrast of form. Rolfe goes against Weinberger’s idea of memory-time as fragmented and non-linear, his approach following narrative logic. This approach enables Rolfe to highlight the artificiality of its framework from within. 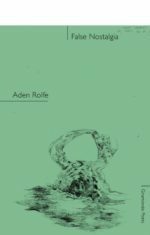 Of the two ‘A note on ‘We Watched the Waves’’ is more succinct, situating Rolfe’s work within the literary theoretical history of memory (Calvino and Proust narrative precedents) while illuminating the philosophy behind his poetic work. Exploring what happens when recollection and autobiography hinges on a false memory it presents the act of writing as one way of ordering and making sense of discrepancies. Oliver Sack’s concept of ‘cryptomensia,’ unconscious plagiarism of an idea mistaken for original thought, runs through the collection. The subset ‘autoplagiarism,’ reproducing your own ideas as if encountering them for the first time, becomes not only the final section of the collection, but a structuring principle of the text in its restaging of scenes and phrases, integral for exploring the revision and recurrence in memory. Autobiography ultimately becomes “a theory of your life, not a proof:” its incompleteness and inconsistencies both necessary and productive to coping with the multiplicity of selves, relations, memory, and (dis)continuity. ‘False nostalgia’ puts forward the more radical hypothesis of the text: that a subpar and even unpleasant memory (in this case, watching an emotionally unsatisfying film) can become a form of pleasure in the process of looking back. Rolfe is interested in nostalgia that “looks back wistfully on moments that weren’t happy, on times that weren’t stable, on events that weren’t enjoyable.” This is the nostalgia of the present, a different kind of (bitter)sweetness, one that remembers what happens, its flaws and enduring pain, and sees in it something to celebrate. Pleasure becomes an object in past tense, achievable only creative recollection. Rolfe situates this emotion within a historical tradition of nostalgia, linked back to Hofer’s initial diagnosis of nostalgia as an illness through to its transformation into a poetic trope. Cache is the perfect choice of film to explore memory, full of hidden, unknowable and multiple perspectives, voyeurism, tapes (a key technology in ‘capturing’ memory with invisible subjectivity), and unresolved plot. Although it is a film about cultural amnesia, “guilt and responsibility and collective memory” rather than nostalgia, it opens up questions about the ethics of memory, recording, and witnessing, integral to exploring an ethics of representing nostalgia. Rolfe suggests that the problem of memory enquiry is also its pleasure: its obsession with trying to make moments whole and meaningful out of its jigsaw fragments. Moments get returned to, repeated, reset and reconfigured, and every time this reveals something new while concealing some other part of the scene. It is impossible to reconstruct the moment as it was, but there is a sense of play in the attempt that gives the endeavor meaning. BRIANNA BULLEN is a Deakin University PhD candidate writing a creative thesis on memory in science fiction. She has had work published in journals like LiNQ, Aurealis, Verandah, Voiceworks, and Buzzcuts. She won the 2017 Apollo Bay short story competition and placed second in the 2017 Newcastle Short Story competition.